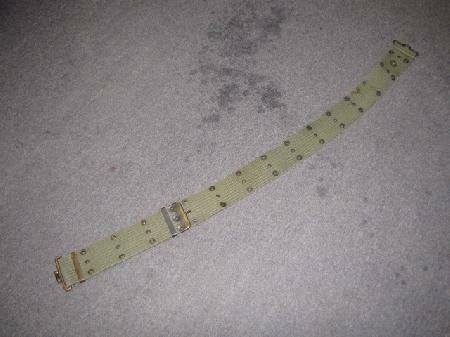 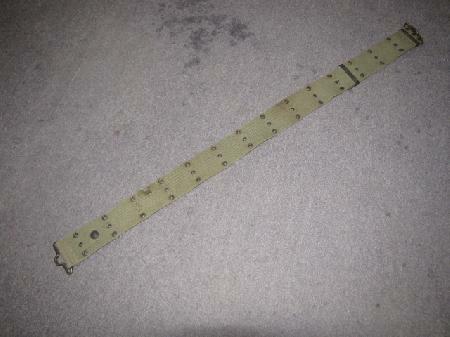 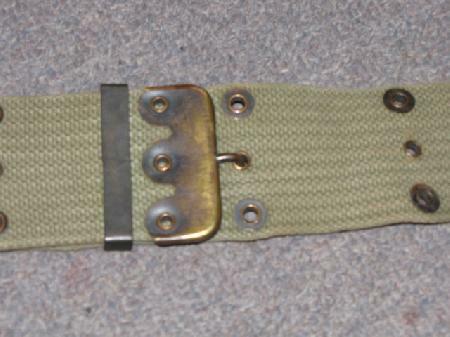 This is a great and extremely rare belt! 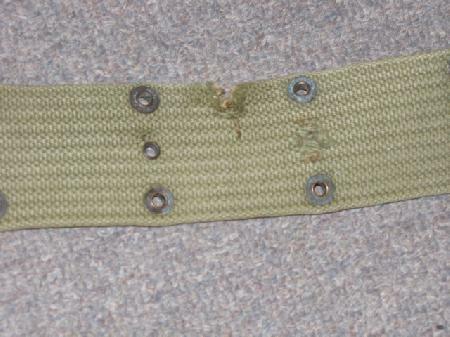 The belt does have two spots of damage to the left front side. 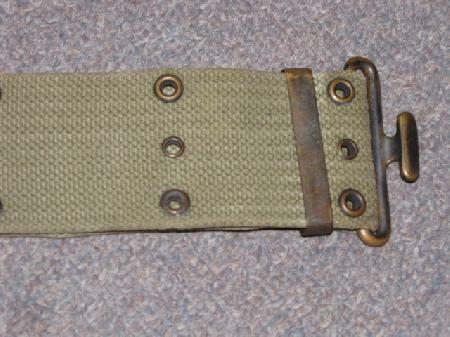 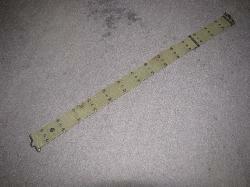 The belt is also marked on the metal top Mills with the last patent date of 1907. 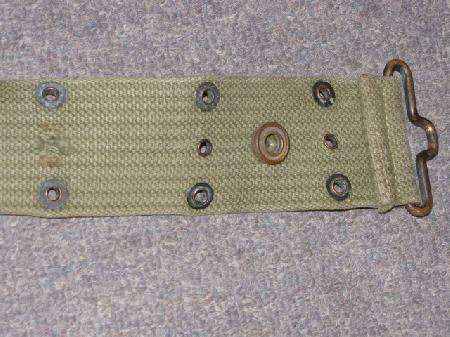 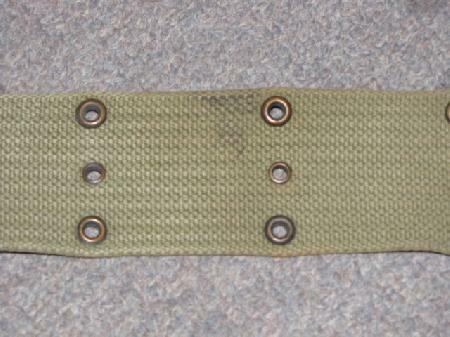 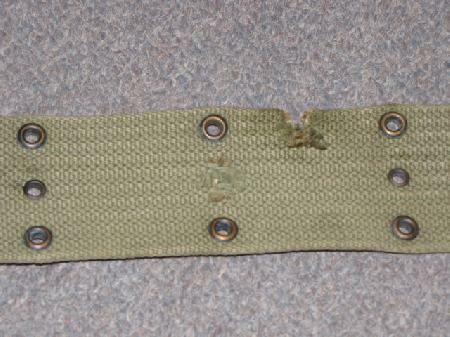 Pea green in color with most of the eyelets still retaining the darkening. 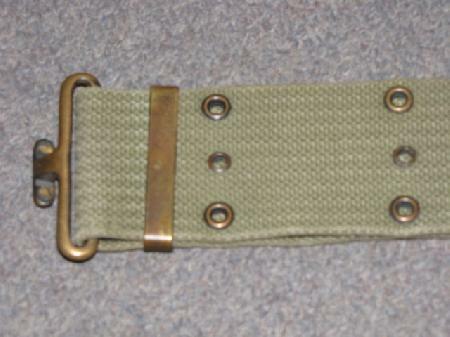 Overall nice condition!